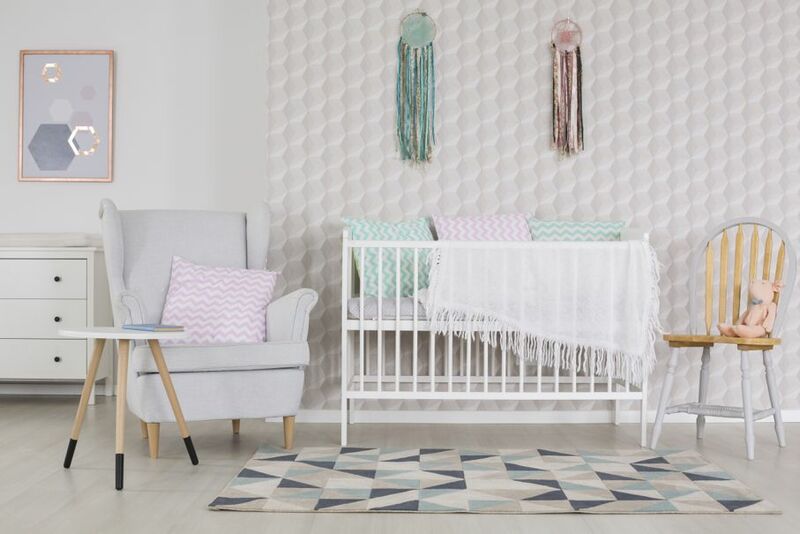 Pink and blue are not the only options for a nursery that you and your baby will love. Expecting a baby is an exciting and stressful time, and it can be tempting to rush into a quick and easy pink girl or blue boy nursery theme and call it good. There are a lot of reasons, though, that it may be a better idea to consider a gender-neutral theme for your nursery. Maybe you’ve decided against finding out the gender of your baby before delivery, or you’ve heard stories of mistakes made when determining gender via ultrasound. Perhaps there is a possibility of a future sibling sharing the room someday. Or, maybe you’re just looking for something a little more unique than princesses or automobiles. Here are five ideas for a gender-neutral nursery theme. 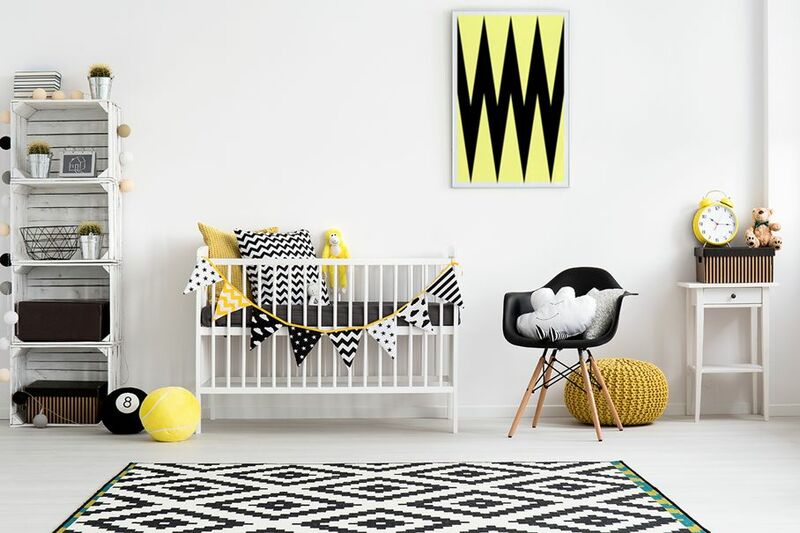 A great way to add visual interest to neutral colors in your nursery is to incorporate a theme of geometric patterns. Chevron is particularly popular right now, but if you’re not into jumping on the trend bandwagon, there are plenty of other shapes and patterns out there that look just as modern and classy. Consult your designer or shop around online for unique selections of paint stencils or wallpaper to apply cool patterns like herringbone, argyle, or kaleidoscope to an accent wall or border. Look for art and décor in matching or complementary shape patterns to finish the room. As a bonus, your baby won’t grow out of a geometric theme. As every other video we see online these days reminds us, babies love animals, and animals love babies. And there are many unique ways to develop an animal-based theme in your nursery. 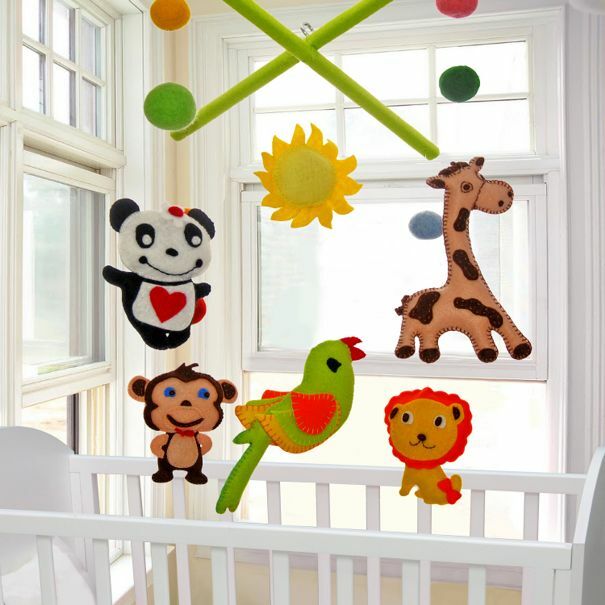 A zoo or safari motif tends to focus on gender-neutral colors like green, yellow, brown, and khaki, and opens the door for décor featuring nearly any animal you can find. Or, you can select one animal as a theme in itself. Cats or dogs make for a fun design, due to the endless variety of breeds to depict. Majestic creatures, like lions or elephants, work for a more regale feel while notoriously playful animals, like monkeys or dolphins, make for an adorable and lighthearted room. Imagine rocking your new baby to sleep while dreaming of waves in a room decked out in a relaxing beach theme. Sea green, sandy beige and crisp white together create a perfect beachy feel when paired with natural décor like jars of seashells and driftwood picture frames. If you’re not feeling the beach look, consider bringing nature to your baby with a forest theme. 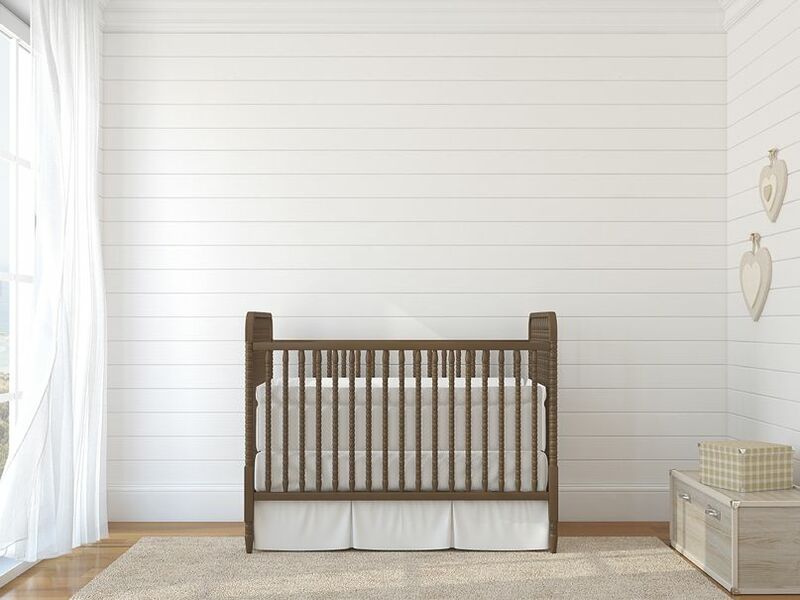 An array of earthy neutrals combined with rich forest green will look perfect in a woodsy nursery. Add some cutesy faux taxidermy and lots of natural wooden décor to complete the indoor forest nursery look. Before the days of Disney princesses, kids’ stories were less gender exclusive. Classic children’s books, fairy tales, and nursery rhymes are excellent sources of inspiration when looking for ideas for a gender-neutral nursery theme. 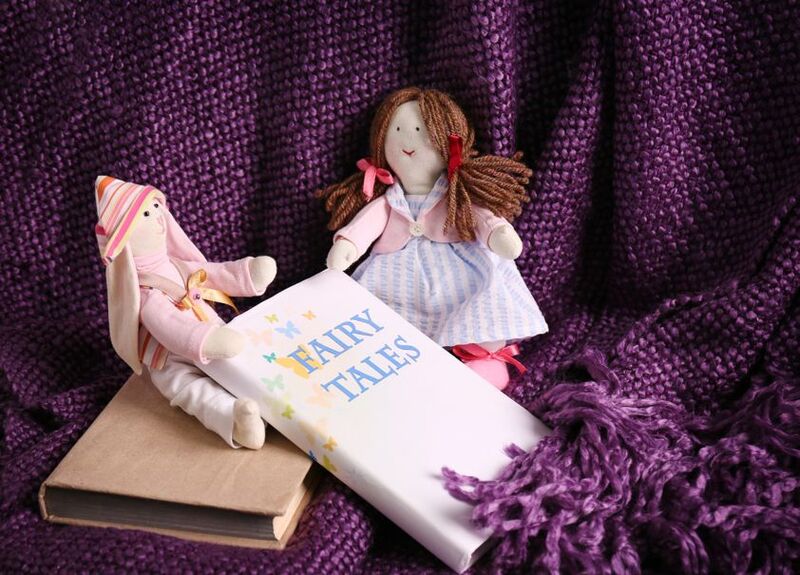 Think back to your favorite stories as a child and recall which scenery or characters spoke to you. On a backdrop of classic neutrals, frame your favorite illustrations and hang them on the walls. Stencil a beloved quote or passage above your baby’s crib. 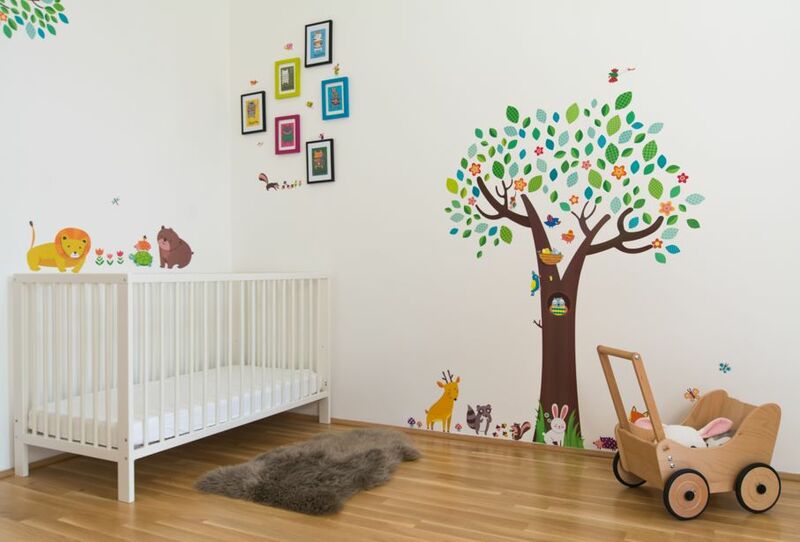 Consider hiring a local or online artist to create custom paintings or even a mural to bring characters to life before you and your baby’s eyes. Finding out the gender of your unborn baby hasn’t always been an option. Before the days of advanced ultrasound images, everyone had to create gender-neutral nurseries. Look around for photos of nurseries from different eras to decide which vibe you want your vintage theme to achieve. In the 1950s and before, nurseries were often muted pastel yellows and whites, while the sixties and seventies brought bright, primary colors and bold wallpapers into style. Thrift and antique stores, auction websites, and maybe even Mom or Grandma will likely be the best bet for finding vintage items for your nursery. There is no need to fall into the cliché of gender specific nurseries if that isn’t what you want in your home. Take your time to choose a meaningful theme for your baby’s nursery, because you will likely be spending a lot of time in it as you create a lasting bond with your new baby. If you are struggling with planning a new nursery, consider consulting with a local designer, or exploring online options like 3D design tools and virtual rooms.